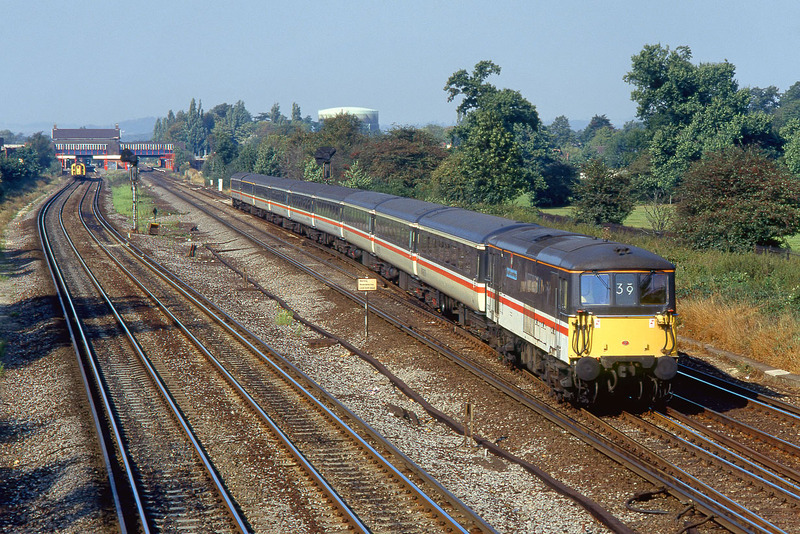 73202 Royal Observer Corps nears journey's end, as it passes Horley on 21 September 1991 with the 14:45 Victoria to Gatwick Airport Gatwick Express service. Note the blue backed nameplate, with crest above. When originally named, the crest had been positioned beneath the nameplate.